Welcome to the Eastbourne Eye Clinic, website of Consultant Eye Surgeon, Mr Iain Michael James Wearne. 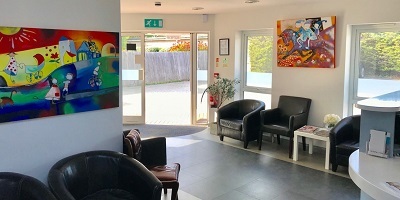 Based at Esperance House, in Eastbourne town centre, the clinic specialises in modern cataract surgery, eyelid and tear duct disorders and general eye conditions. 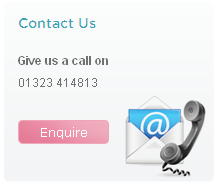 The Eastbourne Eye Clinic also has a well established cosmetic practice, with expertise in rejuvenating eyelid surgery and the minimally invasive facial aesthetic techniques of Botox and dermal fillers. Mr Michael Wearne is a UK trained eye surgeon who was appointed as a Consultant Ophthalmologist in March 2000 by East Sussex Healthcare NHS Trust. Having initially qualified as an Optometrist, with a 1st class degree, he went on to study medicine and then eye surgery at the world famous Moorfields Eye Hospital in London. The Eastbourne Eye Clinic is a modern, well equipped facility with up-to-date diagnostic technology for assessing a wide range of eye conditions. The ethos of the practice is to allow patients the time they need to be assessed thoroughly by an expert in a respectful, courteous and professional manner. The clinic is recognised by all major medical insurance schemes. Content by Mr Michael Wearne who has exclusive rights to all original text. Please note that a few surgical images may be considered disturbing by some people. Glaucoma: to screen or not to screen? Copyright © Eastbourne Eye Clinic. All content written and approved by Michael J Wearne. All Rights Reserved.